Welcome to Northbridge Precious Metal Group. We take pride in providing our clients with truly exceptional and high quality service. Whether you are an institution or an individual buyer or seller, we offer you a high level of courtesy, professionalism, and the best possible market price. Since our founding in 1963, as a wholesale buyer/seller, we have bought and sold hundreds of million dollars worth of bullion, coins and other numismatic items from thousands of people ranging from museums, government agencies, and institutions to private investors and collectors. We are proud to have continuously served investors and collectors for nearly 50 years. We consider ourselves "market makers," offering to buy and sell a wide variety of precious metals and rare coins on a daily basis. Our company was founded on the vision of offering every customer the opportunity to protect your assets with U.S. and World precious metals and coins. Our team of professional market traders and numismatists, backed by an outstanding supporting cast of staff, are happy to guide you in making good purchasing decisions to protect your family. 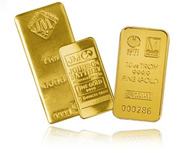 Whether you are someone looking for asset diversification through the purchase of bullion based items or a collector looking for that hard to find rare date coin, the staff of Northbridge Precious Metals is here to assist you in any way possible. Since the days of the Roman Empire, every currency has been inflated to a point of non-existence. In the end, they have ALL been left with a value of zero. With the rapidly declining value of the U.S. dollar, we could be headed in the same direction. Smart money is going into gold and silver at an alarming rate - Protect yourself.